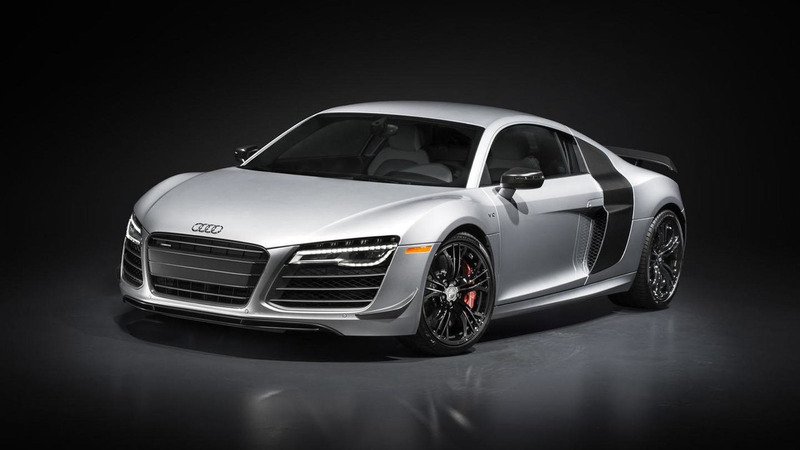 Audi has unveiled the 2015 R8 Competition, ahead of its debut at the Los Angeles Auto Show. Likely a last hurrah for the current generation model, the R8 Competition is being billed as the "most powerful Audi production vehicle to-date." Power is provided by a 5.2-liter V10 engine that develops 570 bhp (425 kW). It is connected to a seven-speed S tronic and an all-wheel drive system which will enable the car to rocket from 0-60 mph in 3.2 seconds before topping out at 199 mph (320 km/h). 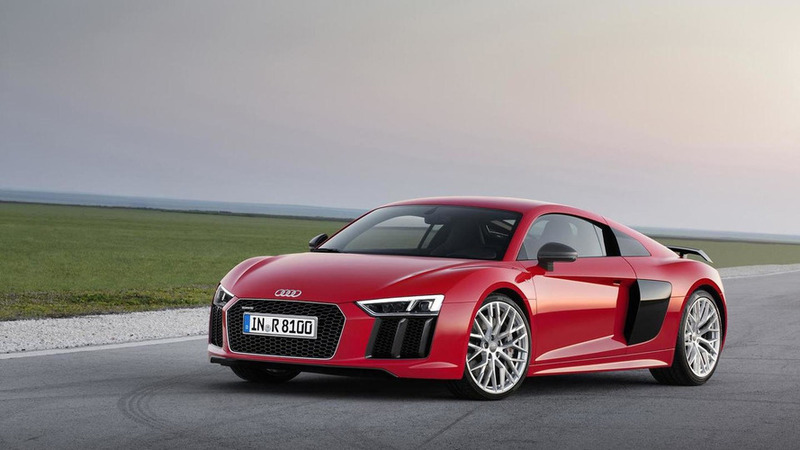 The latter number makes the R8 Competition the "fastest R8 ever offered." On the styling front, the model draws inspiration from the R8 LMS and features a number of matte carbon fiber components including a front spoiler, flics, side blades, mirror caps, a rear diffuser and a rear wing. The car also has gloss black alloy wheels and a sports exhaust system with high-gloss black tailpipes. There's also carbon ceramic brakes and anodized red brake calipers. The sporty styling continues in the cabin as there's matte carbon fiber trim and illuminated “R8 competition” door sill plates. The company also says owners will be able to "pair a variety of interior and exterior colors and choose from a selection of wheel finishes for a striking look designed to meet driver needs and tastes." Production will be limited to 60 units and the model will apparently be available exclusively in the United States. The company will begin accepting orders in November and the first deliveries are scheduled for early next year.